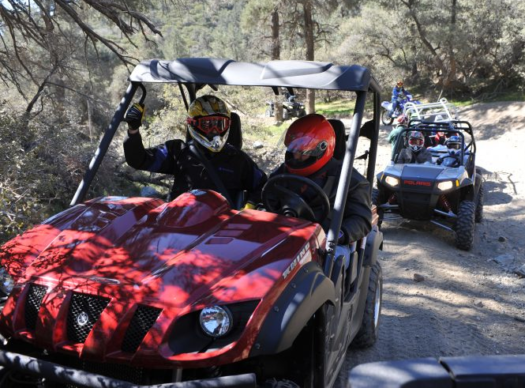 Commissioners voted 3-2 against adding the vehicles, known as ROVs, as a category to the agency’s annual report on all-terrain vehicle, or ATV, deaths and injuries. Commissioner Elliot Kaye, who proposed collecting data on ROV deaths, said sales of the vehicles quadrupled between 2000 and 2015, and that they are one of the deadliest products on the market. “Publishing more data on ROVs would be an important first step in better understanding the hazards and evaluating trends associated with these products,” Kaye said. He introduced his proposal on Wednesday during the CPSC’s annual meeting to determine its operating plan for the coming year. Commission Chair Ann Marie Buerkle, who has voted in the past against regulating ROVs, said she agreed “in principle” that the CPSC should promote greater transparency about dangerous products, but cited the drain on staff time and resources as a reason for voting no. The vote reflected partisan leanings, with Buerkle and fellow Republican-appointed commissioners Dana Baiocco and Peter Feldman voting against the proposal, and commissioners Robert Adler and Kaye, both Democratic appointees, voting yes. Speaking after the hearing, Kaye said he hoped the commission would be open to studying the issue further. “My hope was and still is that we can figure out a way to get this data out,” Kaye said. In the absence of CPSC numbers, the consumer federation has made an informal count of deaths in ROV crashes. According the federation’s website, there have been at least 367 people killed in ROV crashes since the start of 2016. The federation relies on news reports for its tally, so it’s likely an undercount. Wednesday’s meeting was a reminder of how effective ROV makers have been in averting safety regulations. –Sue DeLoretto-Rabe, a founding member of Concerned Families for ATV Safety. In 2015 when the commission’s Democratic appointees formed a 3-2 majority, and the agency seemed poised to adopt ROV safety standards, industry lobbyists got Congress to intervene. Lawmakers adopted a measure barring the CPSC from regulating ROVs pending a study by the National Academy of Sciences of disputed engineering issues. The CPSC would have been forced to fund the study, at an estimated cost of $1 million, and the rule-making abruptly ground to a halt. Unlike the more traditional ATVs, which riders straddle like a motorcycle and steer with handlebars, ROVs are more jeep-like, with a steering wheel and bench seating for two or four riders. In a typical severe accident scenario, an ROV flips over while making a turn and inflicts crushing injuries on the driver or riders. Since it began keeping track in the 1980s, the CPSC has documented over 14,000 deaths in ATV crashes, including those of several thousand children. The statistics are updated annually, and the next report is expected to push the ATV death toll above 15,000. But as FairWarning has reported, that hasn’t stopped many rural counties and towns from opening paved roads to off-road vehicles that they weren’t designed for. And even though millions of off-roaders have switched from ATVs to ROVs in recent years, the CPSC has continued to keep data on ATV injuries and deaths alone. It’s uncertain if representatives of ROV manufacturers were present at Wednesday’s meeting. The Recreational Off-Highway Vehicle Association, the industry trade group, did not respond to requests for comment. Worn out by years of fighting, some safety advocates are letting go of hope that things will change. Sue DeLoretto-Rabe, a founding member of Concerned Families for ATV Safety, said in an email to FairWarning that her group is winding down. “It’s been over 10+ years that we all came together after losing our children to ATV crashes and very little has changed,” she said, adding that vehicles keep getting bigger, heavier and faster.